Strong Leadership, most of it all Volunteer & Sincere! Call the wonderful folks in Pittsburgh and introduce yourself. The phone number is 412-642-SERB or 412-642-7372! Perhaps you'd like to subscribe to the American SRBOBRAN too! That way, you'll be on the "same page" as us, no matter if you live in Pittsburgh, Chicago, Alaska, Hawaii, Florida, Belgrade or Australia and everywhere else in between! Niko nema! 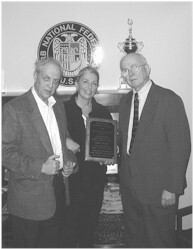 Serbian and English section Editors Sasha Petrov and Sandi Radoja receive congratulations for garnering BEST Fraternal newspaper in 2001 from then SNF President, Dushan Lubenko. "The Serbs have developed a rich pattern of groups. The Serb National Federation, an insurance organization, has sought to push ethnic pride by using the slogan, 'Niko Nema Sto Srbin Imade'. Roughly translated it means, 'Nobody has what a Serb has.....' . 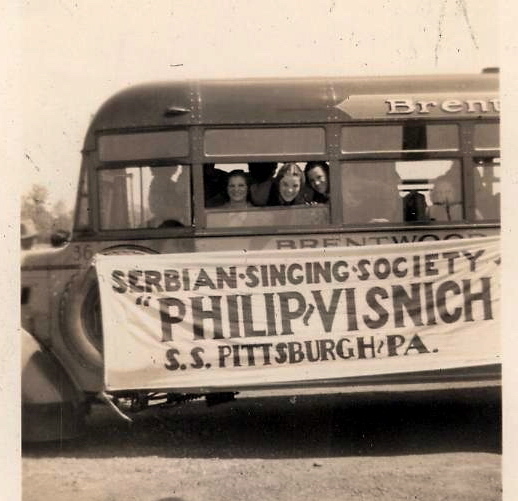 It has taken the lead beyond what its name implies in sponsoring sports events-national basketball, golf, and bowling tournaments-and in organizing the annual Serbian Day picnic in Kennywood Park." As a reader I am grateful to Mimi Oparnica for the lovely article on my husband Dusan. The prayers and good wishes of so many has helped him to keep a positive attitude.... God bless you one and all for your concern. Congratulations to Nick Radlick on his successful third term as Parma Heights Council President. I am proud of my home towners SSS Petar Krstich of Steubenville on the trip to New York Cathedral of St. Sava..... new friends at the Cathderal and Elizabeth, NY..... you did us proud. The huge crowds at the SNF Mid-Winter Golf Tournament made me wish I could have been there.... congratulations to St. Sava Church of San Gabriel and SNF Lodge 85. Chairman Luka Pecel and his committee did a great job. The Serb National Federation, year after years, encourages friendship, good sportsmanship and love for each other through their national sports events. Thank God for this wonderful fraternal society! " I'm one! Are you? Join the SNF! Call 412-462-7372 and ask how! Honored Pioneers at 40th Anniversary, 1946 Nikola Mamula, my grandfather, far right front row. Who can ever forget Bill Drazich's Serbian Crossword Puzzles in the SRBOBRAN? All members in celebration of the coming together of the lodges in this 1926 Photo in front of the old Serb National Federation building on 3414 Fifth Avenue in Pittsburgh's Oakland section. As usual, my Baba is right in front. My Mom and Dad are there too, as is Aunt Marty Belosh. More info for you.... Click on sites! The PATH's editors are V. Rev. Stravrophor Rade Merick, V. Rev. Stravrophot Nedeljko Lunich, V. Rev. Bratso Krsic, Vesna Meinert, and Protonamesnik Fr. Milovan Katanic. Pittsburghers head out to the FIRST SSF Festival! Mary Paich is the current SSF President. The 67th Annual Serbian Singing Festival was recently held in Aliquippa with 20 choirs from all over America and Canada participating! Oh, what a great time we all had! The American Serbian Club in Pittsburgh has been the scene of many happy occasions and 2010 should prove no differently. Here's also where you can learn more about SERBIA itself, from the Library of Congress in Washington, DC! Library of Congress PORTALS OF THE WORLD, SERBIA. This site will give you General Resources, Business, Commerce & Economy sites, Culture, Education, Embassies, Geneaology, Geography & Environment, Government, Politics, Law, Health and History, Language and Literature, Libraries and their Archives, Media and Communications, National Security Organizations, Recreation and Travel, Religion and Philosophy, Science and Technology and Search Engines. 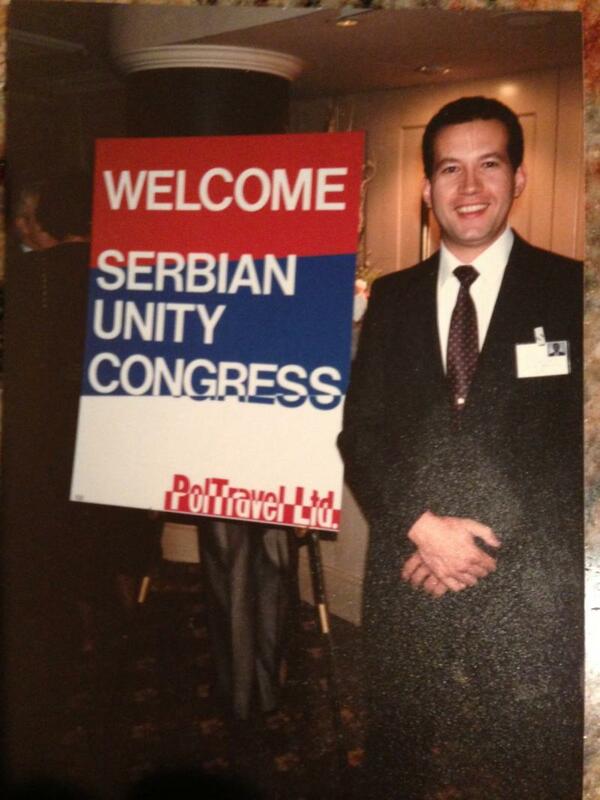 Join the Serbian Unity Congress! 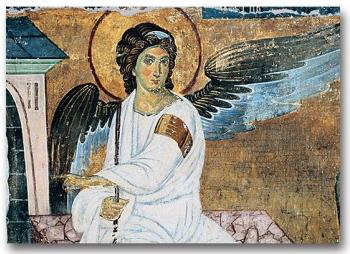 Learn more about the St. Sava Literary Award, Studenica Foundation, Belgrade University 200 Years, Byzantine Coinage, Serbian Rulers, Medieval Serbian History, Military Uniforms, Kosovo through the ages, Blago Fund, and so much more! Let your Congressman know that Kosovo matters. 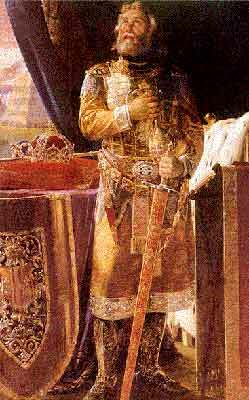 Learn more about Serbia's Royal Family here! There are wonderful historical photos to see, besides learning of the latest good deeds of the Royal Couple and their sons. Be an SNF HERO and HELP YOUR CHURCH at the same time! Here's how! If you think about it long and hard, the answer should be “EVERYTHING!” As long as there’s a Savez, there is SRPSTVO. There is our strength as a people. There is our ability to continue promoting our wonderful Serbian Orthodox heritage throughout the USA, throughout the world. The SNF is the strong foundation laid out for us by our honorable mothers and fathers, grandparents and great-grandparents who taught us right from wrong, love of America, but also love of traditions, love of EVERYTHING Serbian. This love was handed down to us from generation to generation. The SNF is these good citizens of America, setting shining examples of strong work ethics and love of democracy and freedom to their communities. The SNF is EVERYTHING. Remember them. The SNF is our Past and our Future. It’s the harkening back to days of old at SNF basketball, bowling and golf tournaments and the fun had by visiting other host colonies and the friendships made, but its our future too. We want to keep those great sports tournaments going so that our present day “Midgets” and “Pee-Wees” can experience the good times like we had. And providing them with a venue whereby they might meet a future spouse isn’t so bad a goal, either! Think about how many wonderful love stories came out of the tournaments or singing festivals, etc. The SNF is your Voice for helping promote the understanding and continuity of our diverse culture to others. The SNF is YOU, wherein we all strive to maintain and preserve our Serbian ethnic culture (music, dance, narrative, worship and folklife) however we can. The SNF is the SRBOBRAN, our Voice in America and Canada, which makes us brothers and sisters to each other, uniting us no matter where we live. Here’s a great example. When Mim Bizic entered the Saborna Crkva Church grounds in Belgrade with the Kosovo Men’s Choir from Ohio, International lawyer Lou Milicic of Chicago area was there, beaming a welcome and extended hand. “Congratulations on being named ‘Person of the Year!’” How else would he have known? At the wedding in Bojovich- Stipanovich wedding in Lackawanna only a few days later, many guests present knew each other from stories that appeared in the SRBOBRAN. We are ONE in the Savez, with our SRBOBRAN. Support it in EVERY way you can. We must celebrate, share and sustain the vitality of our Serbdom. You must help. We need YOU. You can and MUST help by signing up new members for our Serbian “Matica” in America. Why? Every month we lose about 15 of our beloved and much-mourned old +Pioneer Members. They were strong in their beliefs, communities, and love of their heritage. We must act now to replace those deceased members who worked so diligently to build the SNF for future generations, for us. We have our work cut out for us NOW. • Charitable Intentions are lighting the way! SNF Members or NON-members can purchase a Life Insurance policy or an Annuity and name their local Church as the Owner and Beneficiary. The Premiums for these plans are TAX-DEDUCTIBLE!!!! This way we can build up an Endowment Fund for our churches plus increase membership in the SNF at the same time, a WIN-WIN proposition for all Serbs! Think how many of our churches or church halls need assistance in paying bills now and in the future. This is a BEAUTIFUL way for you to help TWO of your best beloved organizations at the same time, and receive tax credits to boot! The Salvation Army does it. The Lutherans built their empire like this. Our Universities large and small do it. You can do it for YOUR SNF and Church! You would be a BENEFACTOR to all! And believe it, your help is needed. Don’t hesitate. Do it now! Now, before you put this down and forget and it gets put on “the back burner” or is lost to the trash heap. Please help your own. Be a hero to all of us. Call the Savez. 1-800-538-7372. Even the phone number tells you why: 7372=SERB! Napred, SRBI! All members recruit at LEAST, at LEAST, one new member and thereby receive a Recruiting Bonus or Commission. It’s up to you as to how to spend your small commission…. Those who don’t want the commission can plow it back into the SNF Fraternal Funds. 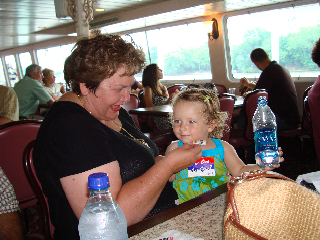 Others might delight in splurging with their grandchildren in an ice-cream outing, or whatever you wish. The increased Membership Rolls are the most important thing to remember as YOUR goal! Put the Commission on the TASA plate at church…. Just sign them up. We’ll all be grateful to YOU! To be a vehicle for making unified public pronouncements to represent and advocate the vital interests of the Serbian American community as a whole with respect to current social, political, economic, legal and other matters of vital concern. To serve as a national network of communication among members of the Serbian American legal community for purposes of networking, exchange of ideas, client referrals and career placement opportunities. To provide scholarship assistance to law students of Serbian descent.